Written by Megan Ann Wilson. The sport of ice hockey is rich in tradition and history but it’s rarely seen as a high-brow or artistic activity. Outside of my native Canada, hockey is often overshadowed by other professional and college sports and almost every NHL team plays in mammoth multi-purpose athletic stadiums. However there are many undiscovered architectural jewels and historical buildings that are dedicated to the fastest game on earth. 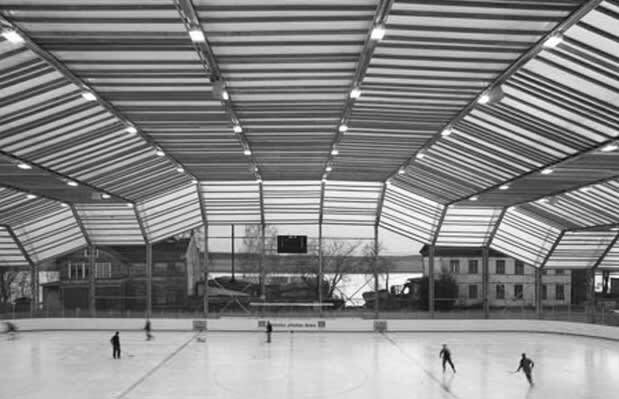 From the best college barns to take in a game, to the ultra modern rinks in Europe worthy of artistic admiration, we've scoured the globe for the best of the best. Honorable mentions go to the Palasport Olimpico, Hakons Hall in Lillehammer, and Matthews Arena, but they miss our list. Here are the 10 Coolest Hockey Rinks in the World.